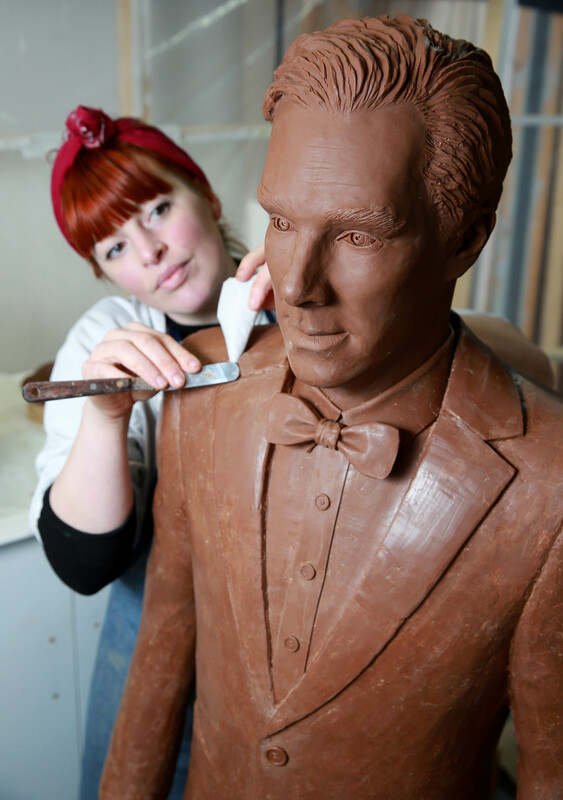 Through no fault of his own, the very Britishly named Benedict Cumberbatch has acquired a supremely weird fan base, which will only get worse with the unveiling of a milk chocolate sculpture in the Sherlock actor's likeness. 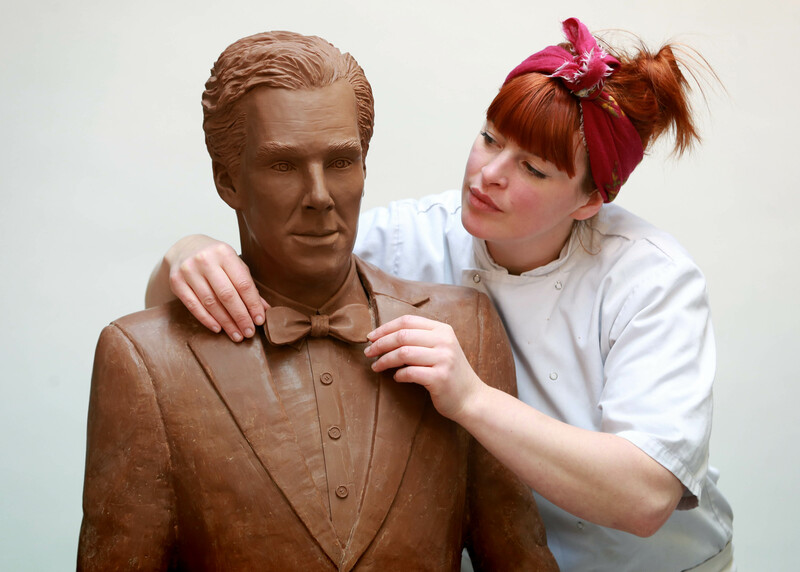 Made for the premiere of UKTV's new on-demand channel Drama, and inspired by a poll naming Benedict the "dishiest" actor in England, the life-size, fully edible sculpture was made from 500 bars of Belgian milk chocolate. 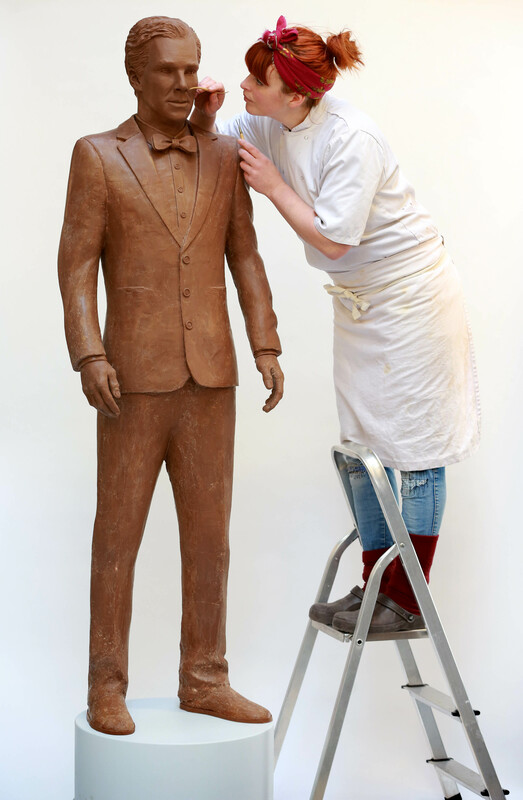 I must say, for a gimmick chocolate statue, the likeness is pretty close, and the making-of video shows just how much real art goes into a stunt project like this. 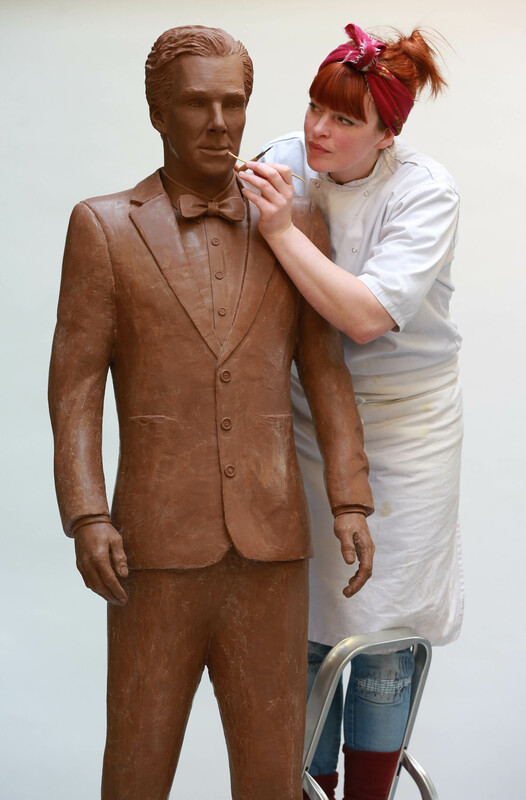 (It also looks way tastier than a chocolate Mario Lopez.) 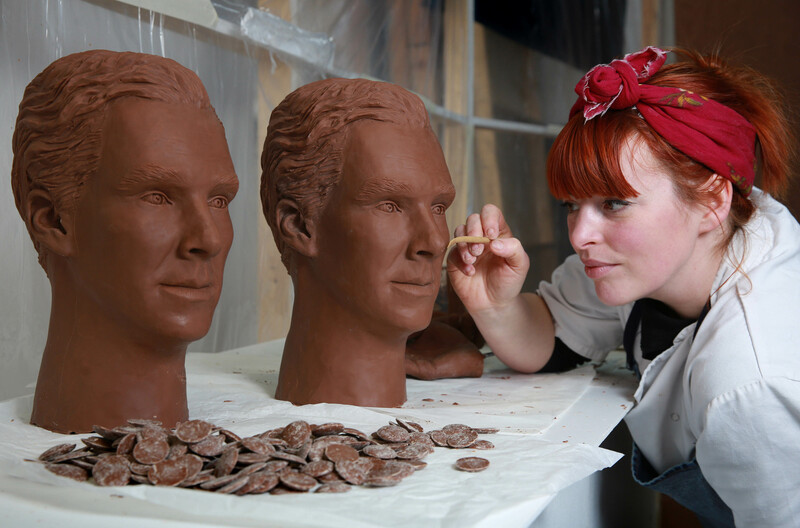 I'm curious about Cumberbatch's reaction to this kind of attention, but something tells me he purposely ignores stuff like this out of fear. 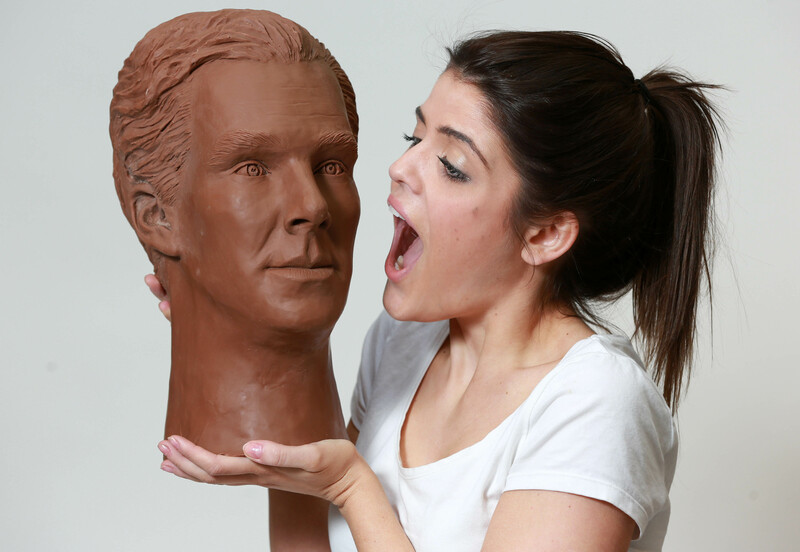 The stunt was orchestrated by the always buzz-worthy agency Taylor Herring, whose prior successes have included a dripping-wet, 12-foot-tall Colin Firth, a realistic-looking polar bear strolling around London and a giant Game of Thrones dragon skull that appeared to have washed up on a British beach.